That’s why we stock the vet recommended, Safari line of grooming tools, particularly nail trimmers and files, combs and brushes. Also the Furminator brushes, which are great for both long and short haired cats, drastically reduce shedding, by brushing out the loose undercoat before it falls all over your house! 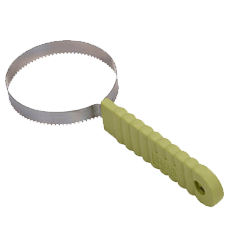 This tool is a must have for anyone with house cats. 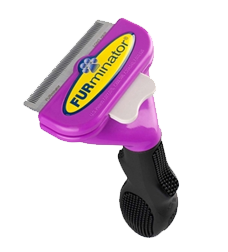 Furminator DeShedding Tool:Shedding is a problem most cats face and tends to be heaviest in early Spring and early Fall, but indoor cats often shed year-round. Up to 2/3 of the hair a cat sheds is ingested during self grooming, resulting in hairballs that are messy, stressful to the cat and the cause of potentially serious problems. Every loose hair brushed is one less to swallow. Not all cats were created equal which makes FURminator the best choice when it comes to deShedding solutions. Simply select the short hair or long hair edge tool matched to your cat’s body size for a truly customized grooming experience. The design of the edge allows the tool to push through the topcoat to easily and gently remove the undercoat and loose hair without cutting or damaging the cat’s delicate skin. Since cats are self-groomers, they can swallow up to 2/3 of their loose hair resulting in hairballs that are messy, stressful to the cat and the cause of potentially serious problems. Maintaining a healthy coat is easy with the high-performance of hair care, hygiene and waterless products FURminator developed. 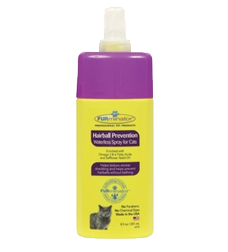 The products help enhance a cat’s health, reduce shedding and keep your cat looking their best. The Stainless steel cat shedding blade is great for removing dead and semi-dead hair making your cat’s coat healthier and more lustrous. This greatly reduces the problem of hair balls in your cat’s digestive tract. Recommended use for Safari’s single shedding blade is twice a week. Regular grooming helps minimize shedding in your home, keeping it tidier. The Safari Soft Slicker for Cats reduces shedding and is excellent for all breeds of cats. The stainless steel pins remove mats and tangles. 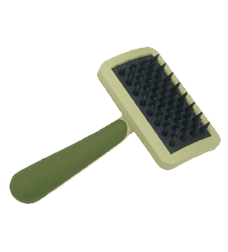 Using this tool frequently helps prevent hair balls and enhances the coat’s natural luster. 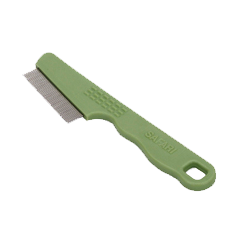 This Safari brush is the perfect tool to massage and groom your cat. It can also be used as a desensitizer for the grooming process. Brush in the direction of hair growth, from head to tail and then down the legs. Short, quick strokes will remove dirt and debris. 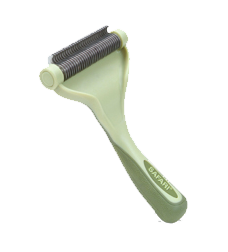 Long, flowing strokes will smooth the coat and massage the skin, creating a truly enjoyable grooming experience. 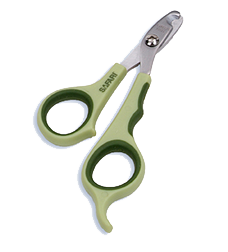 Quality stainless steel ensures a long lasting, sharp cutting edge. 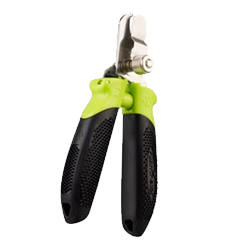 This Safari trimmer provides ultimate comfort for more hand sizes with a larger finger hole, over molded handle and non-slip finger rest. This de-shedding tool greatly reduces shedding for a healthy coat and home. Shed Magic is the perfect multi-purpose tool to quickly remove loose hair, excess undercoat and stubborn mats or tangles. 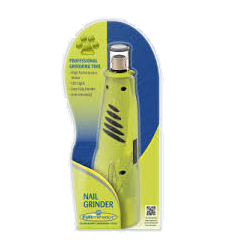 This professional quality grooming tool has stainless steel blades that are designed to easily remove dead hair. The Shed Magic works great on medium and long coats because it penetrates to remove undercoat without irritating the skin. 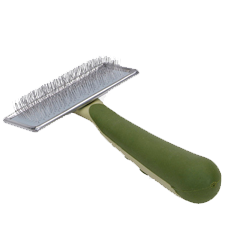 With a comfortable, textured grip handle, it not only works as a deshedding tool, but can also be used as a dematting tool.